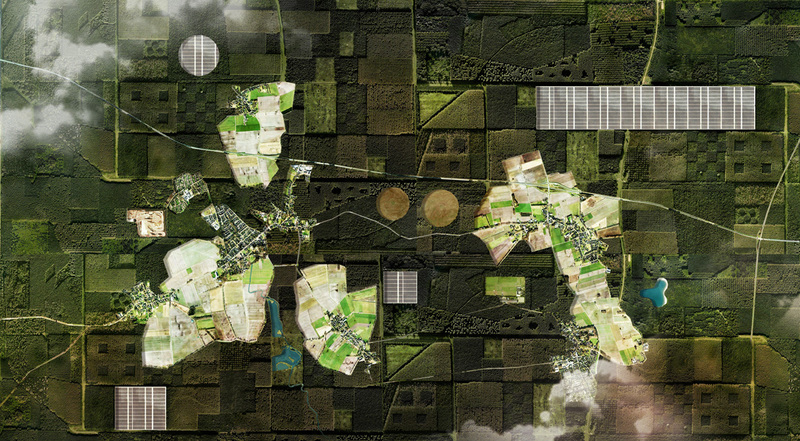 The Seven New Netherlands" is karres+brands’ contribution to the Landscape Challenge 2070 and the landscape recommendation of the Council for the Environment and Infrastructure. 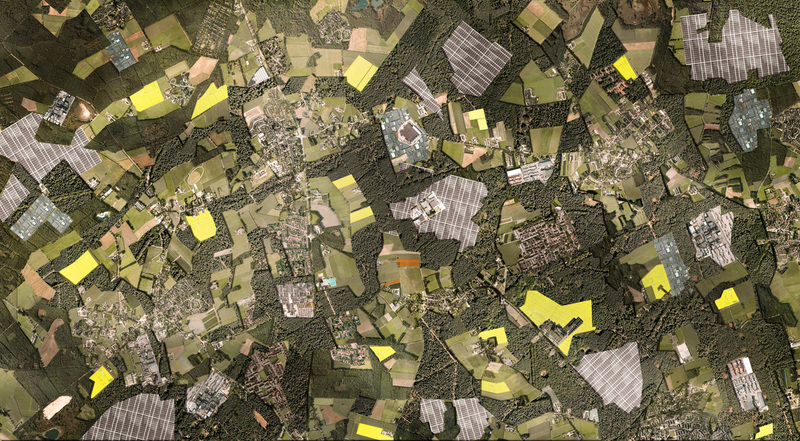 The Dutch landscape is constantly changing. Developments such as urbanisation, agricultural intensification, climate change and energy transition have a major impact on the quality of the landscape. 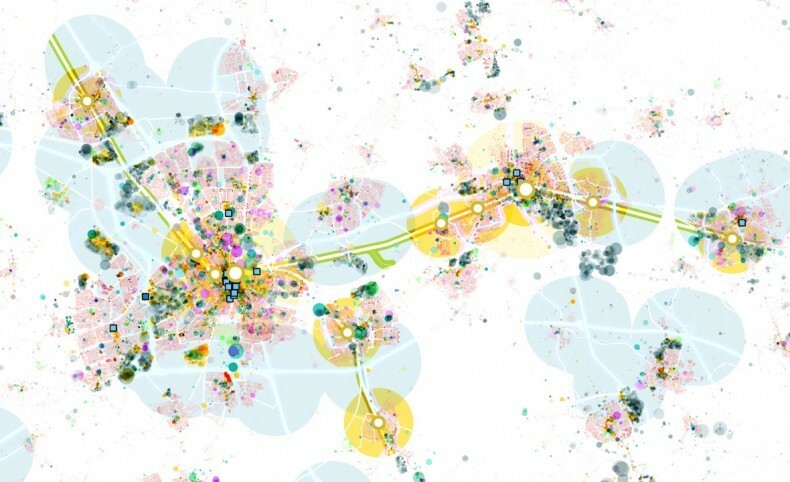 Meanwhile, changes are also occurring at the administrative level. Through decentralisation and deregulation, the job of caring for the landscape falls to ever lower levels of government. Therefore, the Council for the Environment and Infrastructure has developed a landscape recommendation. In this recommendation, the Council explores how the quality of the landscape can be secured in the future and what the government’s role in this is. Seeking input for this recommendation, the Council asked seven companies and three educational institutions to give their views in the "Landscape Challenge 2070" on what trends and uncertainties are critical to the future formation of the landscape (2070) and what role the government can and should play in them. 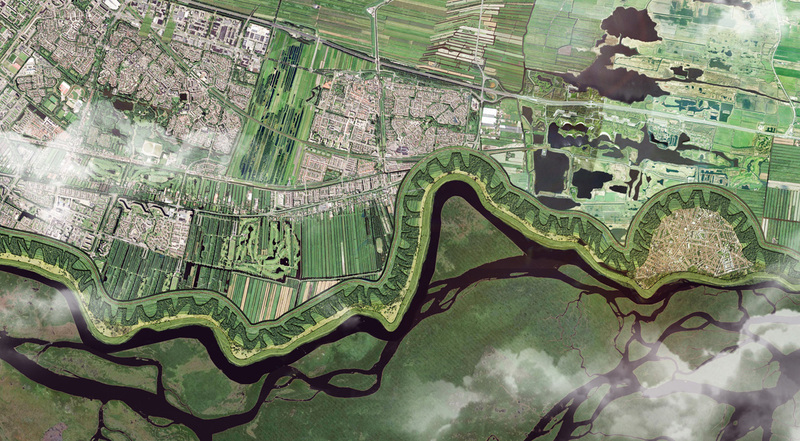 The Netherlands has a heroic tradition of dredging, land reclamation and landscape building. 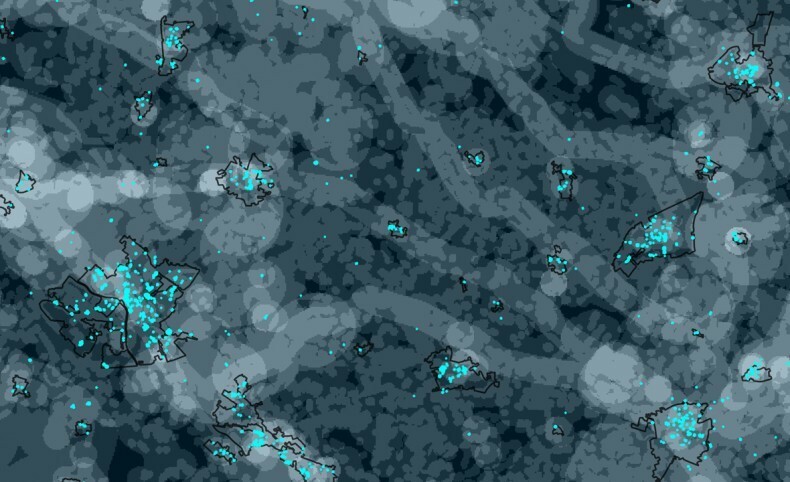 More than half of the country is directly reclaimed from nature. 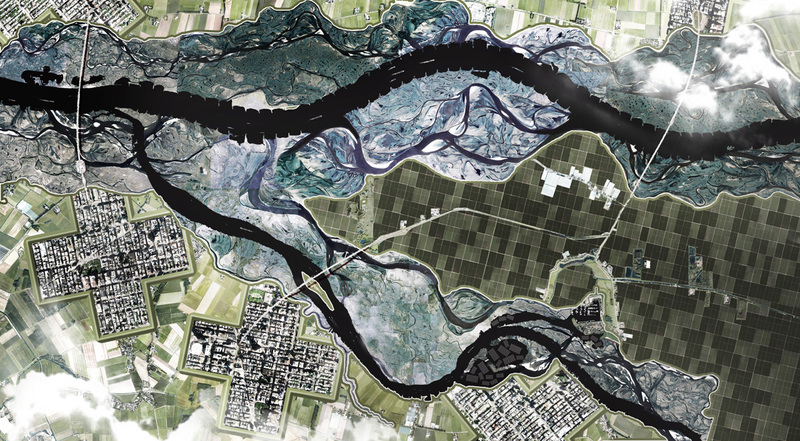 This has resulted in extraordinary landscapes such as reclaimed land, sand dunes, and the Delta Works. However, this tradition also has its downside. Constantly working against nature requires a lot of maintenance, often resulting in unforeseen problems such as flooded villages and degraded natural areas. With new challenges ahead, such as climate change, urbanisation and energy transition, the traditional Dutch attitude towards nature seems unsustainable. In order to ease the tension between man and nature, it is essential to work not against nature, but rather, with nature even more. 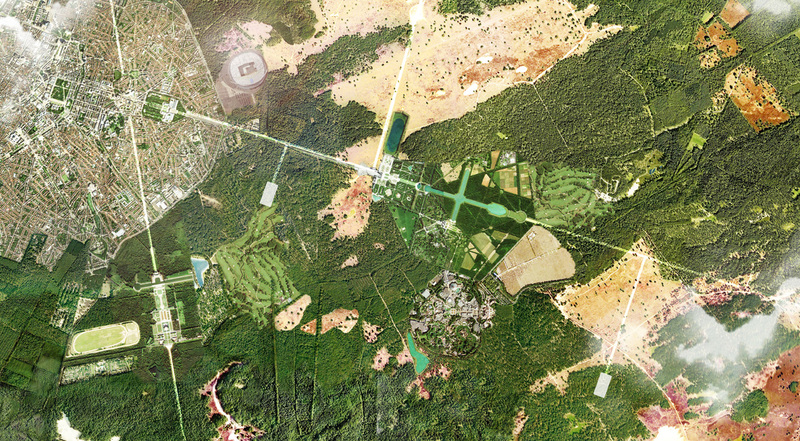 In various locations throughout the country, experiments with similar spatial solutions are underway. 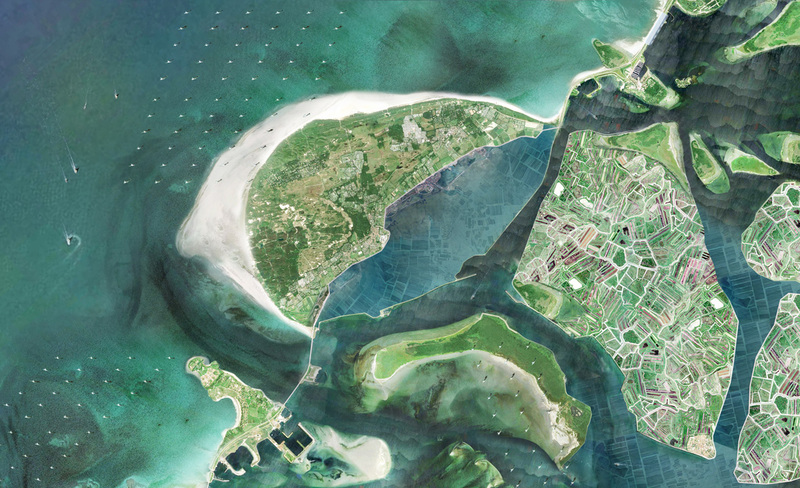 Despite successful examples, such as "building with nature" projects along the coast, floating homes, and food forests as synergy between nature and agriculture, efforts in the Netherlands to move with the nature are for the most part, not yet off the ground. Work against nature is an integral part of our nation and has brought us fame and fortune from all over the world. However, the world is realising that this tense relationship with nature will no longer be sustainable in the future. In order to continue to ensure our security and remain competitive on an international level, a national attitude change is needed: from a nation of delta engineers working against nature to a nation of delta managers moving along with it. On a large scale, this means that fundamentally new choices must be made. Assumptions from centuries of work against nature must be put aside to make room in the country’s spatial planning for natural processes and logic. This means new forms of agriculture that are suitable to the natural conditions, that generate energy where the wind blows the hardest and the sun shines the strongest, and in the long-term, transitioning the country’s economic and demographic heart out of the drain and onto higher sandy ground. 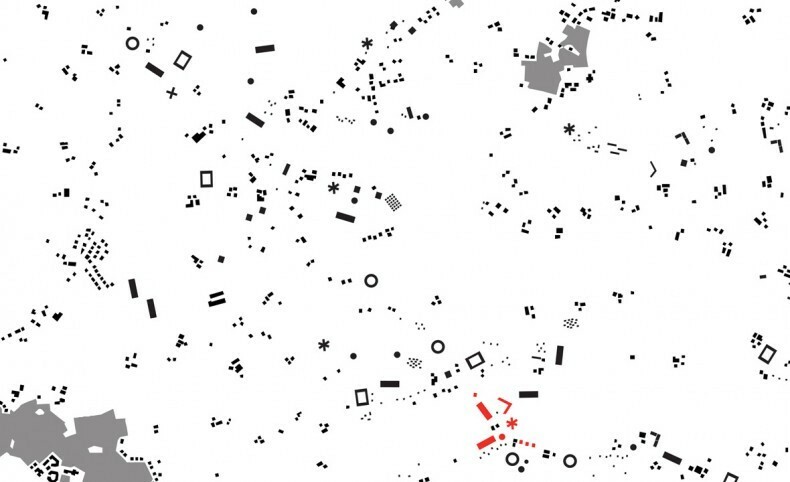 Consolidating this change requires a new management approach, one that is not based on administrative and sectoral logic, but rather on the landscape. Instead of five ministries, each responsible for a specific part of the landscape, we are introducing a new administrative system of seven new regions, each with its own character and its own power based on natural conditions and economic relations. In this system, the national government still determines the framework, but the region executes. 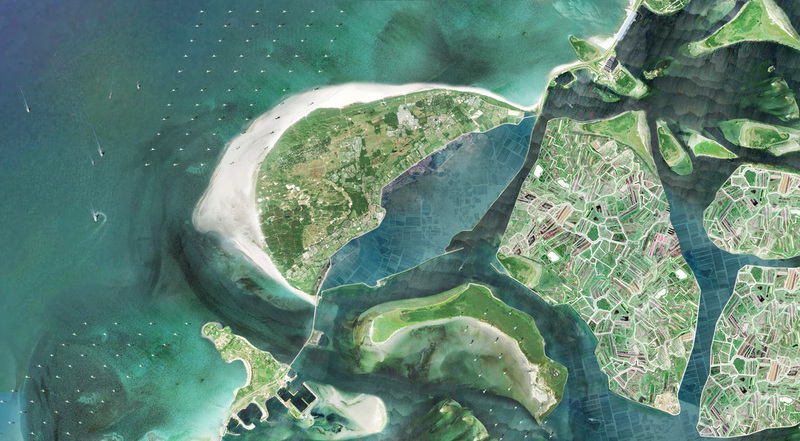 In this way, instead of generic solutions for all of the Netherlands, spatial development is once again linked to the specific capabilities and opportunities of each region in the Netherlands. 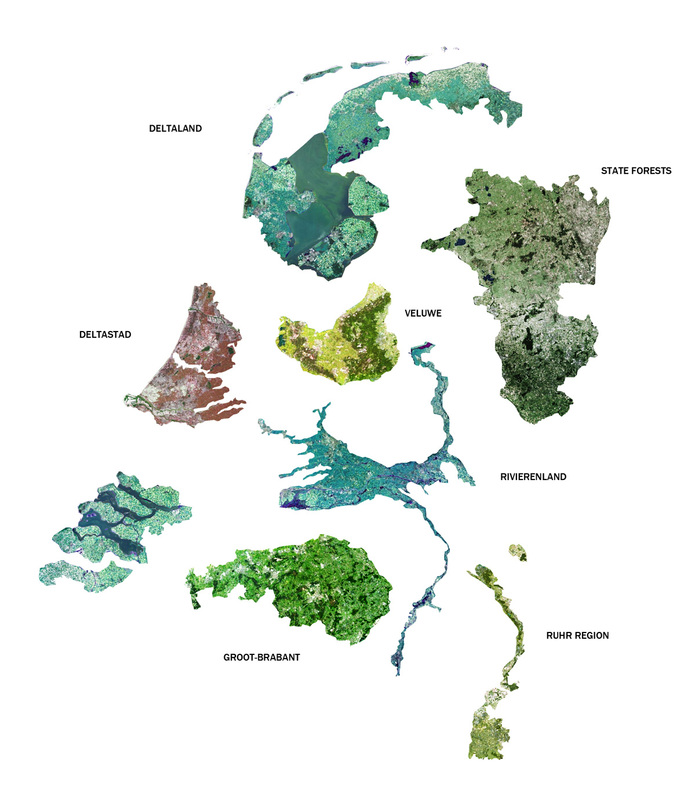 The proposed revision of the administrative system in 2070 leads to a differentiated landscape: low areas of the Netherlands (Deltaland, Deltastad and Rivierenland) will give more space for the water. This means new forms of agriculture, such as aquaculture (delta land) and wet crops (rivierenland), as well as smaller and more compact cities that each provide their own water safety. In higher areas of the Netherlands, the population will continue to increase in 2070. 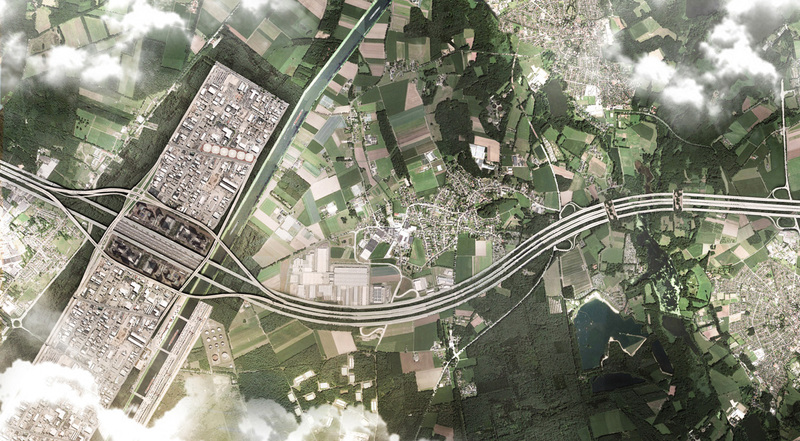 Existing cities on the edge of the Veluwe will further expand and in Groot-Brabant and the Ruhr region the landscape mosaic will continue to be filled with new businesses, small-scale residential areas and strong connections to the economic hinterland. In the northeast of the country, where economic relations with neighbouring countries are less strong, there will be more room for large-scale nature areas combined with varied production forests for energy production and material for the bio-based economy.